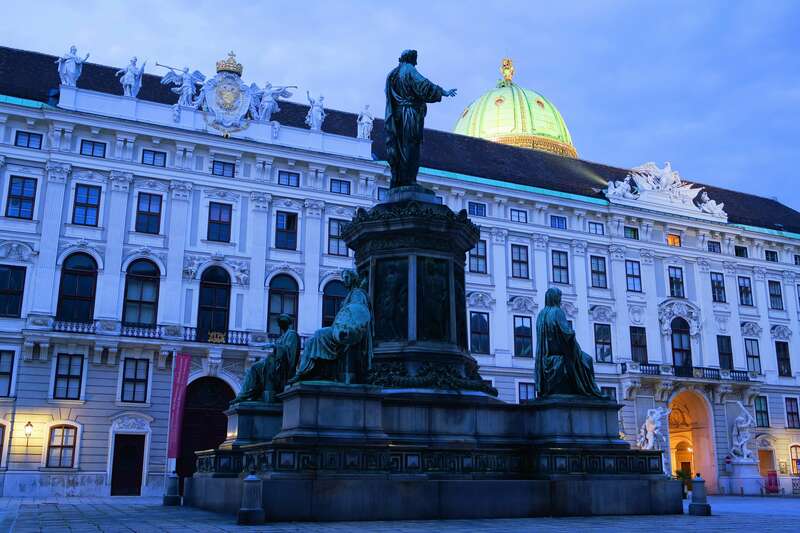 Vienna is a haven for art, culture and stories dating way back before the Romans. It’s fame is like a well focused magnifying glass in the sun which makes this a hot spot for classical music, infamous political nurturing and tales from an Imperial period when Elisabeth at the age of 16 becomes Empress. By far the most famous composer here in Vienna is Mozart, but Haydn, Beethoven, Strauss and others made this the classical music capital of the world. It is claimed too that Hitler, Trotsky, Lenin and others found ideologies here in the city a place where they could develop their ideas. But our limited time here in this beautiful city of Vienna allowed us to focus on the Imperial past, a dynasty of epic proportions and so tragic that even Hollywood made movies on the subject. The Schönbrunn Palace was home to the Emperor and it was here that lavish banquets and heads of state met. The palace is over 300 years old and home to much of the Habsburg Monarchy. This was a summer palace built in the Baroque era and has over 1400 rooms and massive gardens. The gardens were originally hunting grounds created by previous Roman inhabitants. This home was used by Franz Joseph I and his wife Elisabeth (Sisi) Empress of Austria and later to become Queen of Hungary. Visiting this huge and impressive site is brought alive by the well narrated audio guides provided when you walk into the palace. We had a ticket called the Grand tour which enabled us to visit the Schönbrunn Palace on day one and the Hofburg Palace on day two to see the imperial silver collection, the imperial apartments and the Sisi museum. Once again the audio tour was a life saver. The Sisi museum, located in the Hofburg Palace tells the story of Elisabeth who marries the emperor unprepared for court life and that of an empress. She is beautiful and knows it, spending a great deal of time maintaining her figure, hair and general beauty. She even had her own gym in one of her rooms. When her son and wife commit suicide, she becomes somewhat of a recluse. 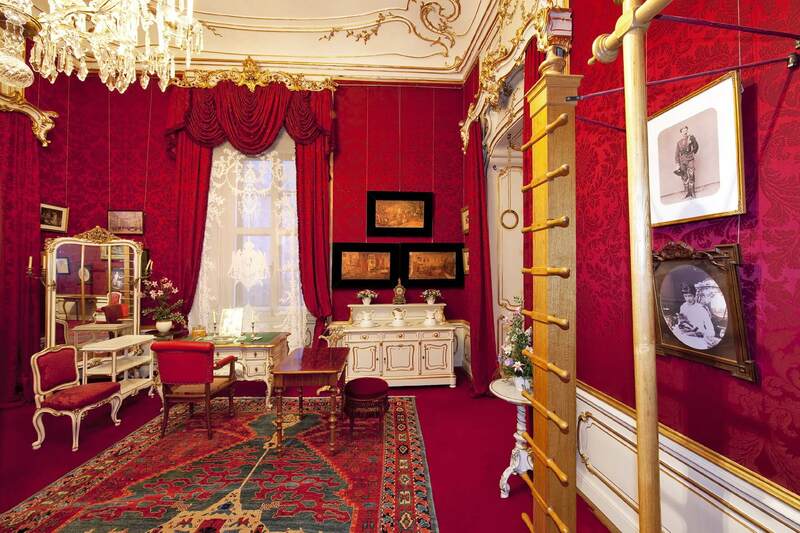 This was her bedroom found in the Hofburg Palace. She meets a sudden and violent death by stabbing when an anarchist attacks her in Geneva just as she boards a vessel. You must visit these famous sites. The rooms show life as it was, the beautiful, substantial collections, replicas of Sisis dresses and much more. The banquet layouts, the huge collection of silver and crockery along with impressive royal candelabra befitting this monarchs dynasty are all here at the Hofburg and Schönbrunn Palace. I would advise purchasing tickets in advance to the Schönbrunn Palace, Sisi Museum, Imperial Apartments and Silver Collection so as to avoid queuing in these very popular places.